The Dragon slashing into your flesh ! Red-Eyes Feat. Link Monsters and DP's support ! Thread: The Dragon slashing into your flesh ! Red-Eyes Feat. Link Monsters and DP's support ! It's been a while since I've post a deck here ! 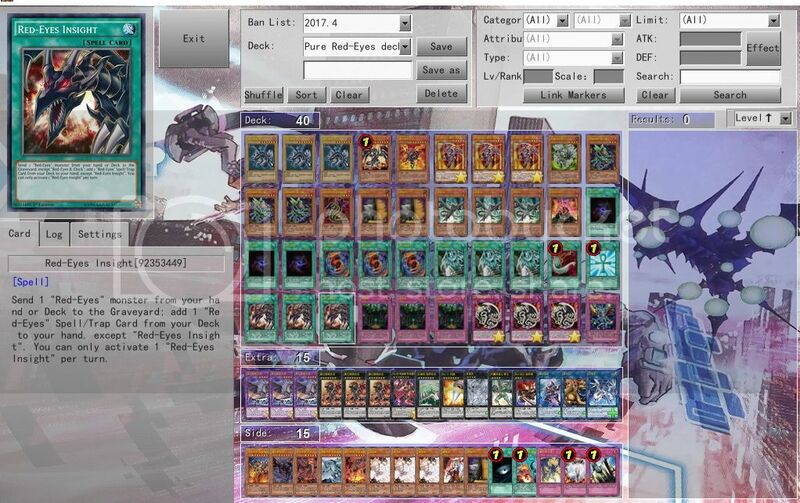 And here is my latest version of the Red-Eyes deck (my personnal favorite) using the new support from Duelist Pack and the new Link Monsters ! All I can say about the deck is the new come-back capacities are great and Red-Eyes Fang is really the best card of the deck, like REALLY.